List making aside (Unless it’s to Santa. Obviously.) Are you a scrooge? 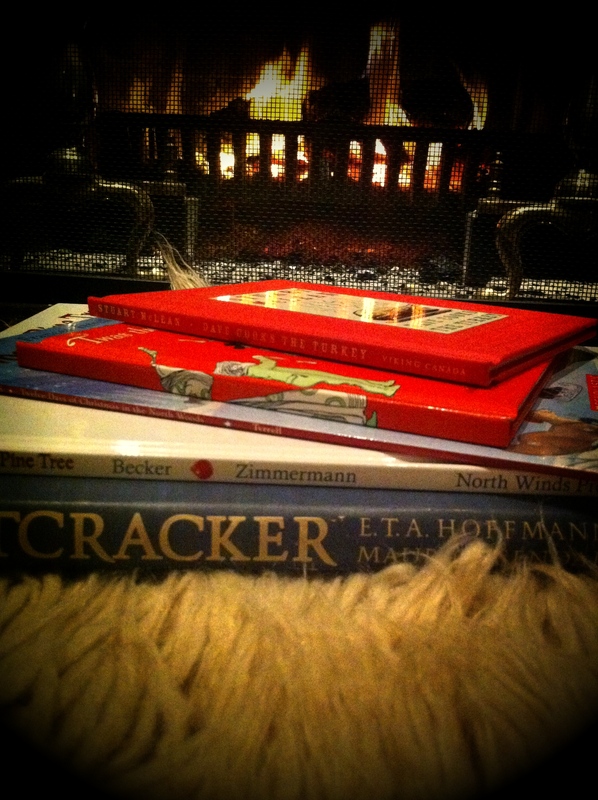 If you are, here are some of the things that make me happy getting ready for the holidays. Maybe they’ll help. If you’re already in Christmas elf mode please share with me what helps make this season fun and special for you. I’ll probably add it to my little red folder for next year! Letting christmas carols take over the stereo (instead of show tunes) when I’m in the kitchen. 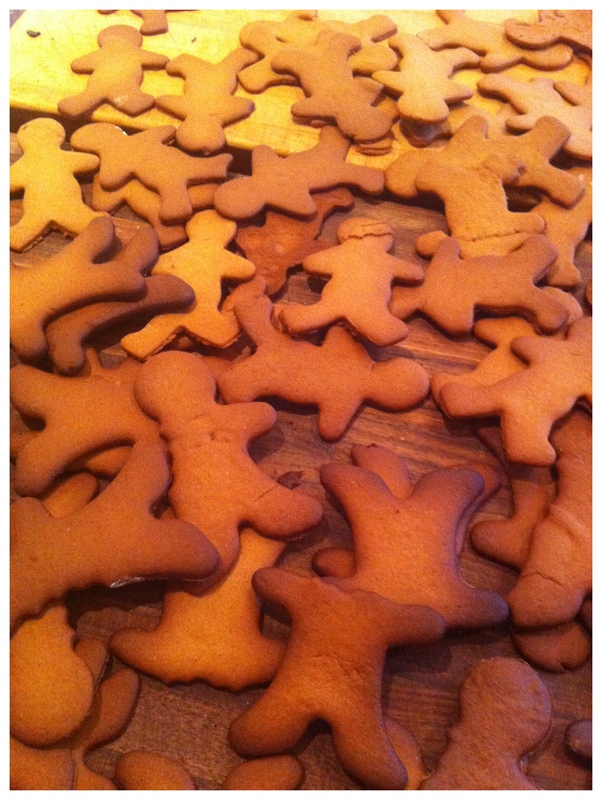 Baking gingerbread. Lots and lots of gingerbread. Pulling out the old (and new!) christmas decorations. Planning menu’s for Christmas eve, our annual holiday open house, and dinners with house guests and friends. Reading through the stack of Christmas books I’ve collected over the years. Sending holiday wishes the old fashioned way. Cards. By snail mail. Remembering how incredibly fortunate we are by making our annual donations. This year we are celebrating the good works of The Stratford Festival, A Loving Spoonful and Big Brothers of Vancouver. Sending out my annual call for used running shoes that then get refurbished and distributed to women and children in homes and shelters on the downtown eastside. Treating myself to a new pair of flannel pajamas. Then wearing them while I watch some classic seasonal films. Enjoy the season. Just don’t have too many cookies! This entry was posted in Baking, Food, Friends and tagged carols, eggnog, flannel, gingerbread by mostlynoodles. Bookmark the permalink. Thanks my friend. You’ve put many things in perspective for me, glad I could do the same. I am with you! I absolutely LOVE the hustle and bustle of the holiday season. For me, it’s about the food and setting everything else aside to spend time with people I care about. Plus, December is my birth month – another reason to celebrate! I love turkey dinner, butter tarts, Baileys in my Christmas morning coffee, bundling up and going for a walk on Christmas Day, Elvis Christmas albums, and tobogganing. See you soon for some holiday cheer!